No no, we’re not closing down the blog. I (Christine) am moving to California. Actually, I’m already here because we (mostly Bobby) procrastinated in making this post. Oops. Anyway. We’re gonna try to continue business as usual. The only difference is that Bobby and I will be on opposite sides of the country, probably cooking by ourselves. Sad, but alas, such is life! So here’s the first post in the new, cross-country version of Cooking to Procrastinate: the Christine Special! Fill a small shaker with ice. 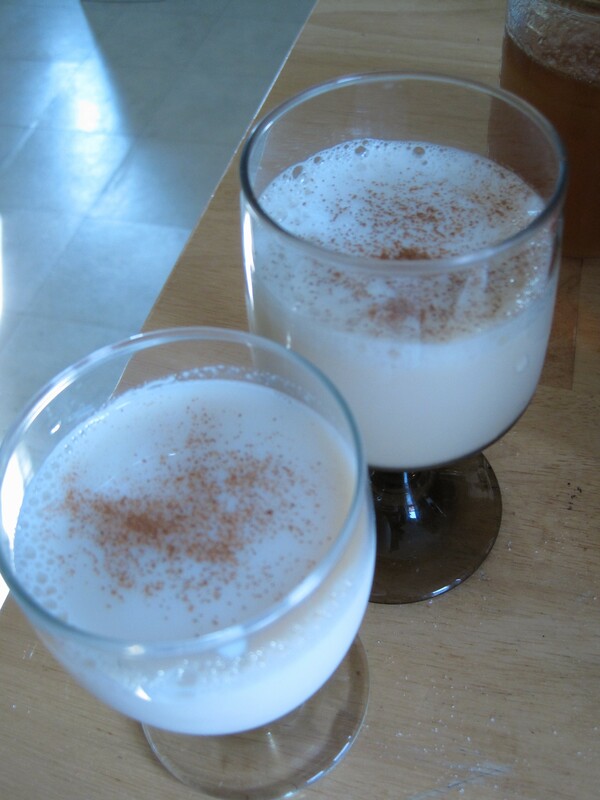 Add 1 shot peach schnapps. 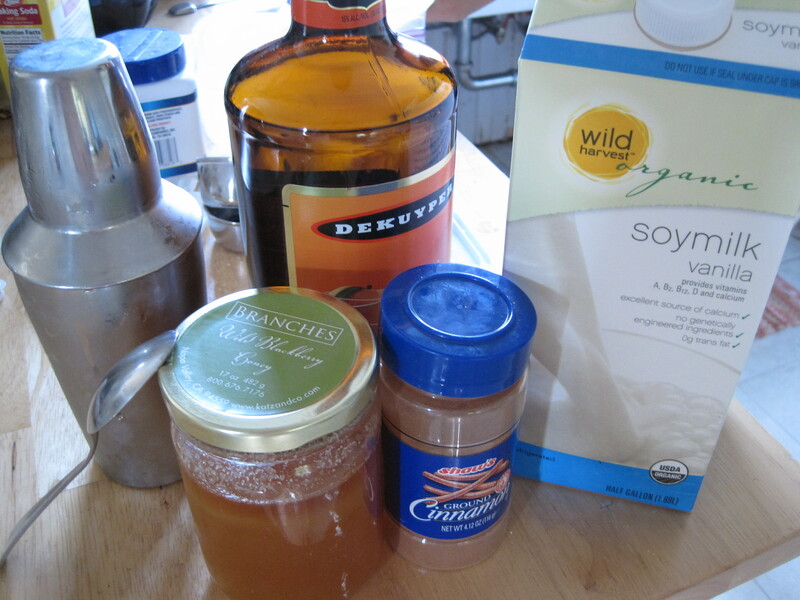 Drizzle honey over the ice, then fill the shaker almost to the top with soy milk. Shake until foamy. 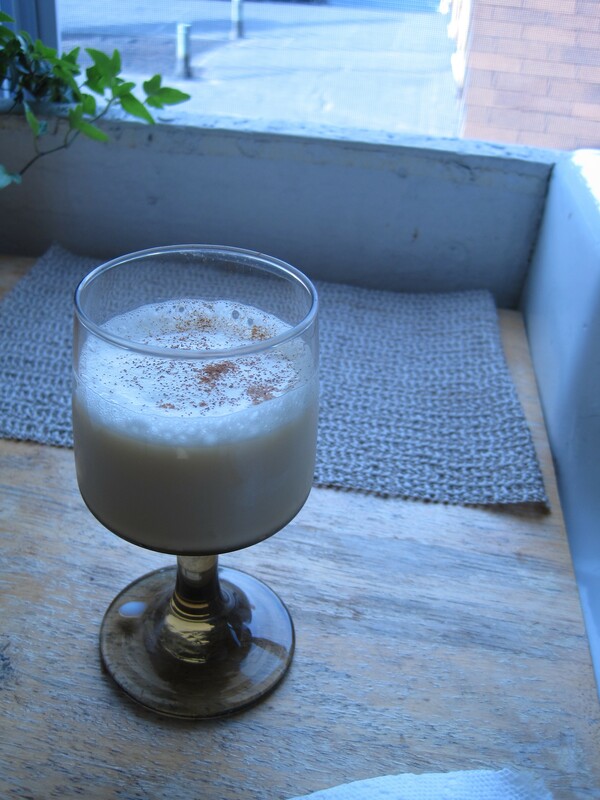 Pour into a glass without ice, and sprinkle cinnamon on top. 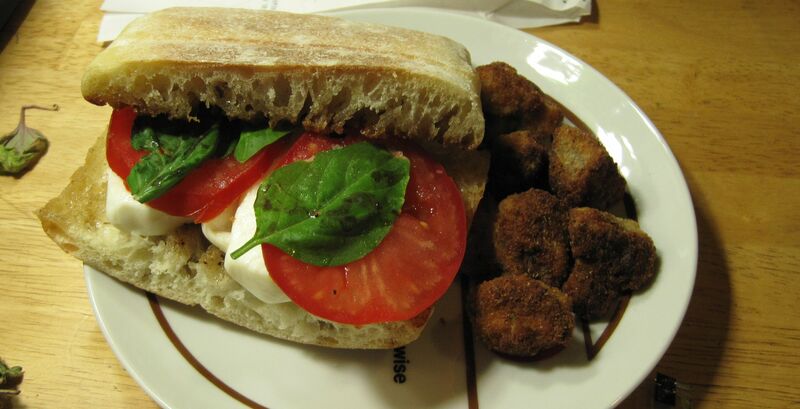 My mother is the best cook in the world, and my grandma taught her everything she knows. Much to my dismay, the only thing my mom hadn’t mastered was wrapping 粽子. 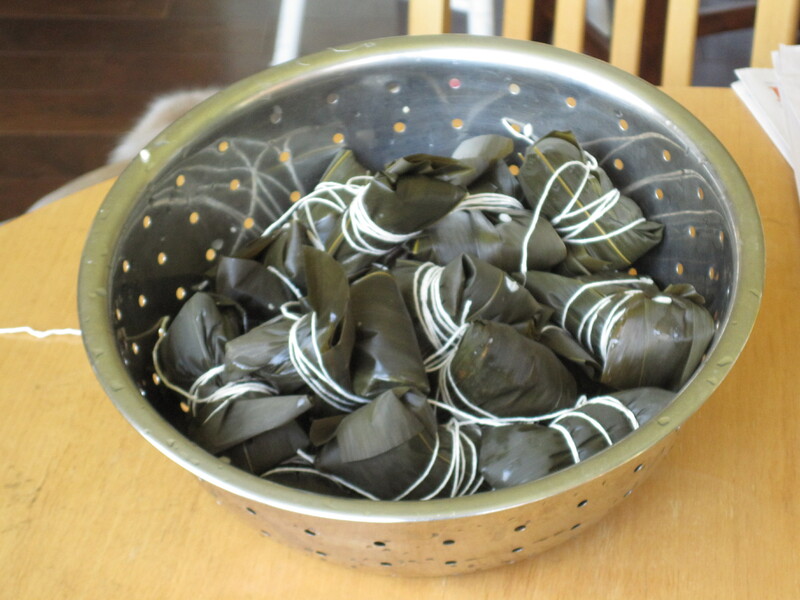 Known by many names in English, including “Chinese tamale” (lawl), it’s a bundle of glutinous rice wrapped in bamboo leaves and steamed. 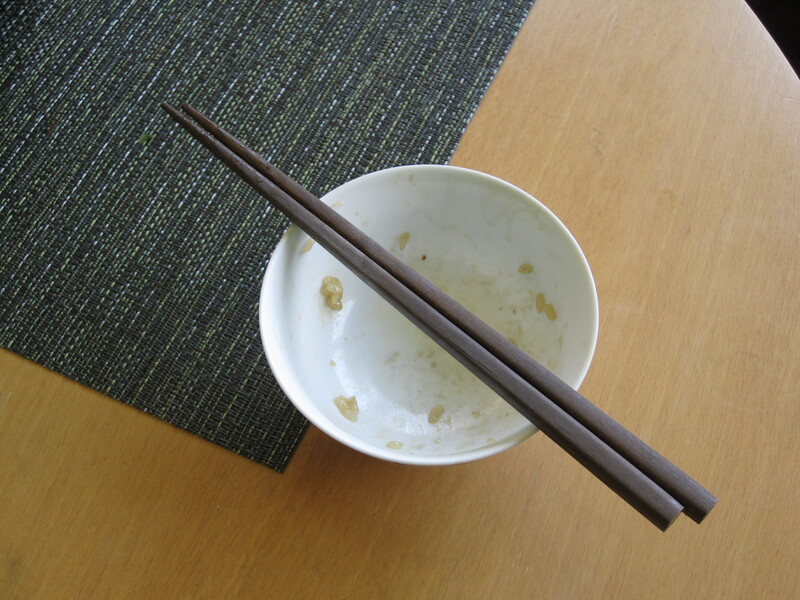 They typically come in sweet and savory versions, with red bean paste and some sort of meat, respectively, in the rice. The awesome part about making them yourself is that you can put whatever you want in them. 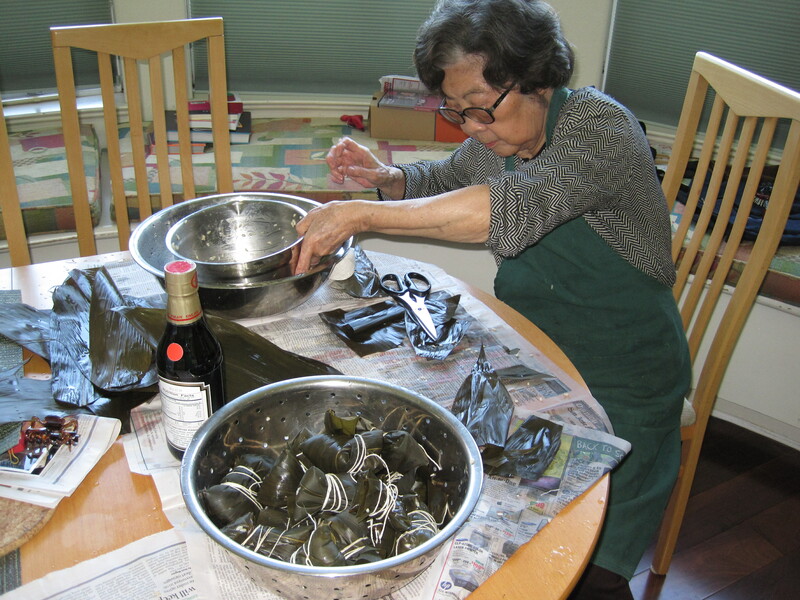 My grandma had soaked some bamboo leaves in anticipation of my return, and today she taught me how to wrap zongzi. For my savory veggie versions, I used shiitake mushrooms, boiled peanuts, and cooked chestnuts. I’m proud to say that I learned much more quickly than my mom did! Unfortunately I don’t have a clue how to explain it, so you’re gonna have to find your own Taiwanese grandmas to teach you. Gnocchi is one of my trigger words on a menu (along with “mushroom” and “macaroni and cheese,” among other things). I tried to make it the other day with some potatoes that were threatening to sprout, with fairly positive results. Next time, I’ll think I’ll add more flour because my dough was slightly too sticky. 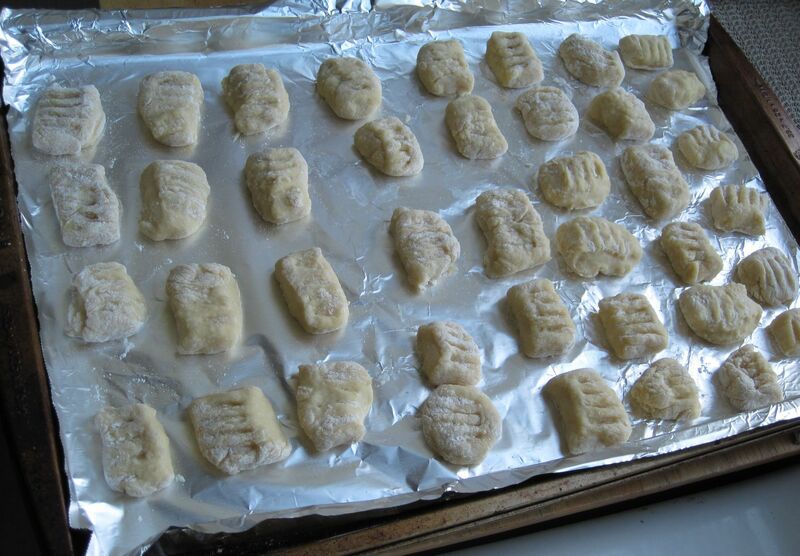 The pieces stuck as I pressed my fork into them, resulting in really ugly gnocchi. I was also a tad overenthusiastic with the size of my gnocchi…I had eat each piece in three bites. Bobby, of course, had no problem swallowing each one whole. 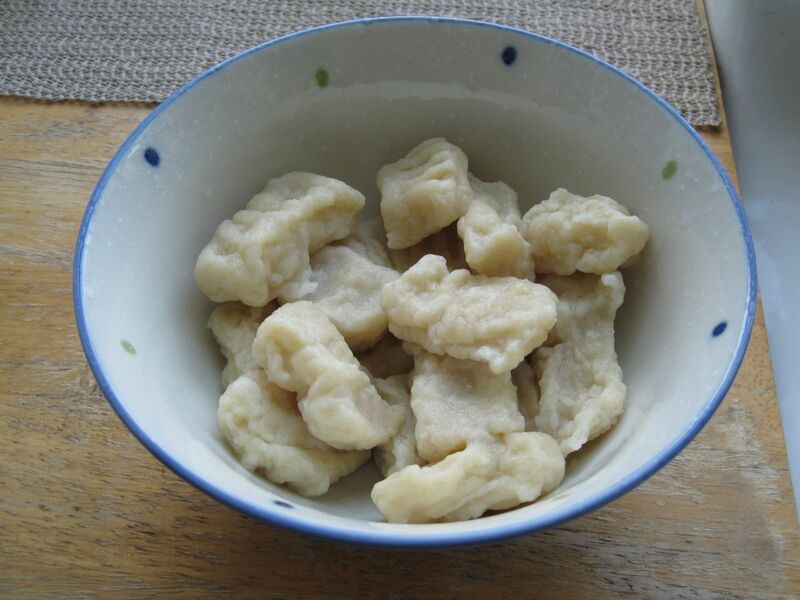 My ugly gnocchi reminded me a lot of this dish my grandma frequently made for me as a kid called 麵疙瘩 (literally, flour knot). She’d mix flour and water to form a paste and drop dollops of it into boiling water so that they’d cook as formless lumps. It would then be served in a thick soup. Try as I might, I could never reproduce this dish. My grandma is probably magical or something. Boil the whole potatoes until they are soft (about 45 minutes). I didn’t have a vegetable mill as the recipe calls for, so I just mashed the soft potatoes up with a fork. This is probably why my dough was too sticky, because I probably broke some of the water-containing cells. Try using a potato ricer instead, if you have one. Set 6 quarts of water to boil in a large spaghetti pot. Set up ice bath with 6 cups ice and 6 cups water near boiling water. 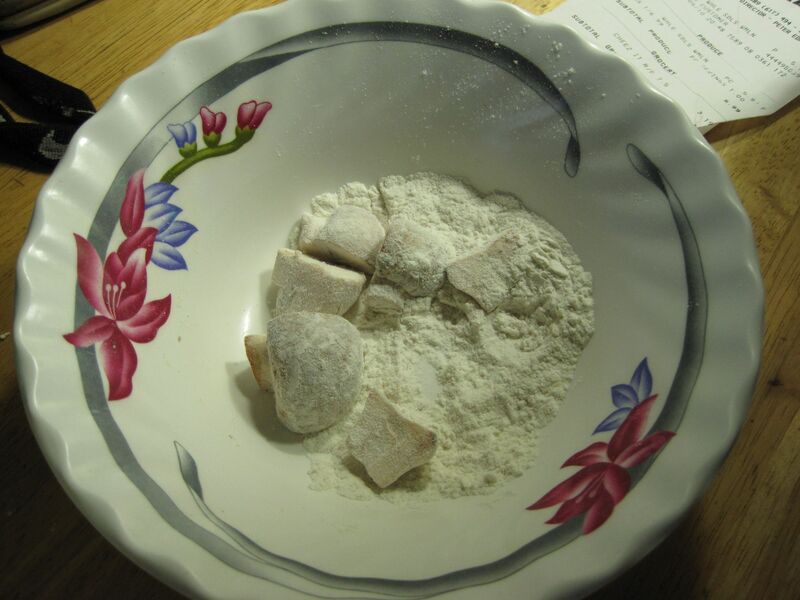 Make well in center of potatoes and sprinkle all over with flour, using all the flour. 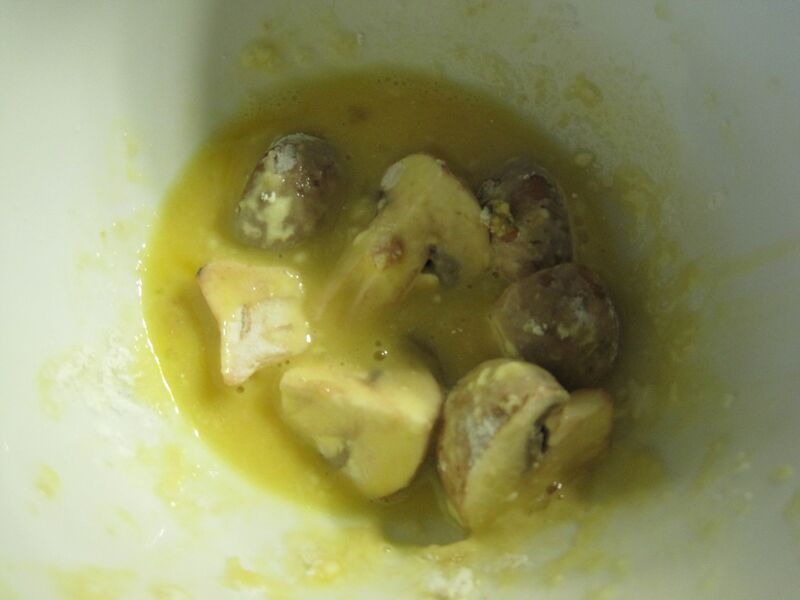 Place egg and salt in center of well and using a fork, stir into flour and potatoes. 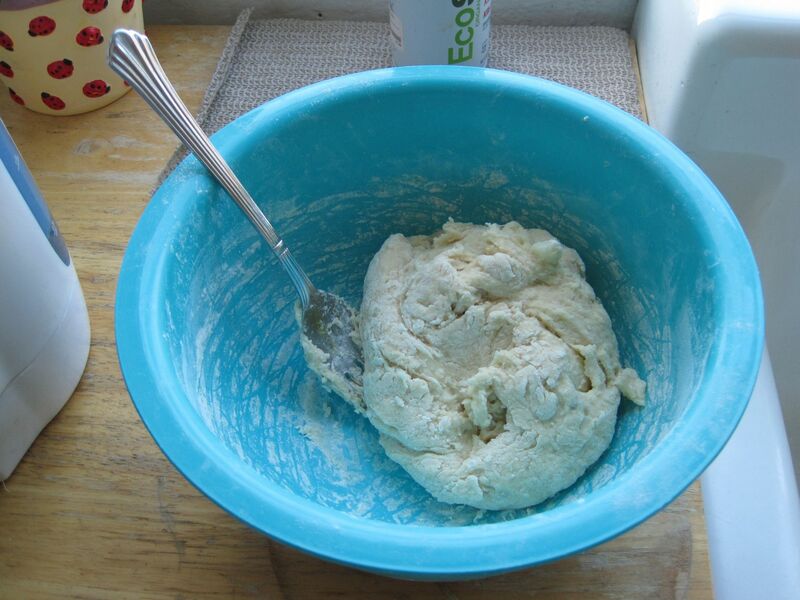 Once egg is mixed in, bring dough together, kneading gently until a ball is formed. Knead gently another 4 minutes until ball is dry to touch. 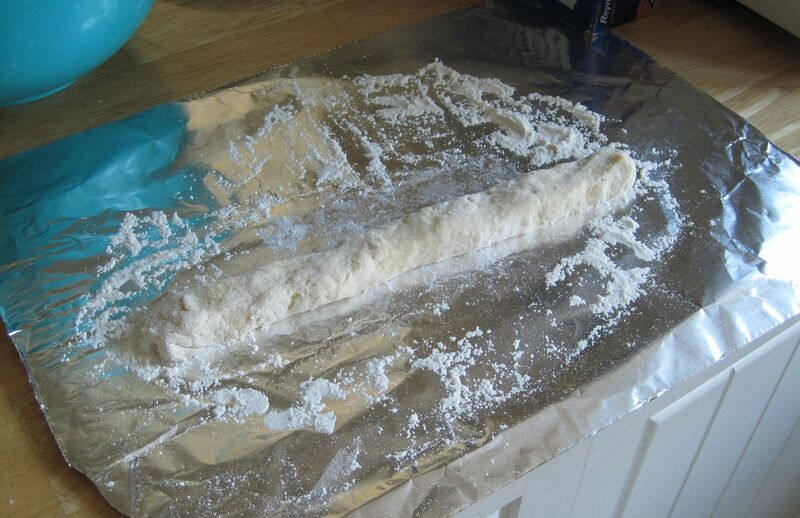 Roll baseball-sized ball of dough into 3/4-inch diameter dowels and cut dowels into 1-inch long pieces. Press fork tines into each piece to get the ridge-y shape. Drop these pieces into boiling water and cook until they float (about 1 minute). 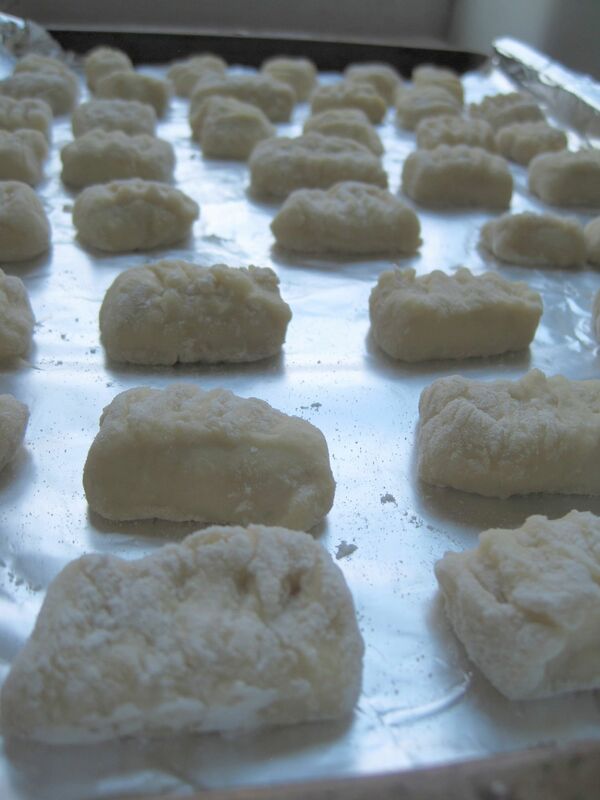 As gnocchi float to top of boiling water, remove them to ice bath. Let sit several minutes in bath and drain from ice and water. Serve with your choice of sauce. 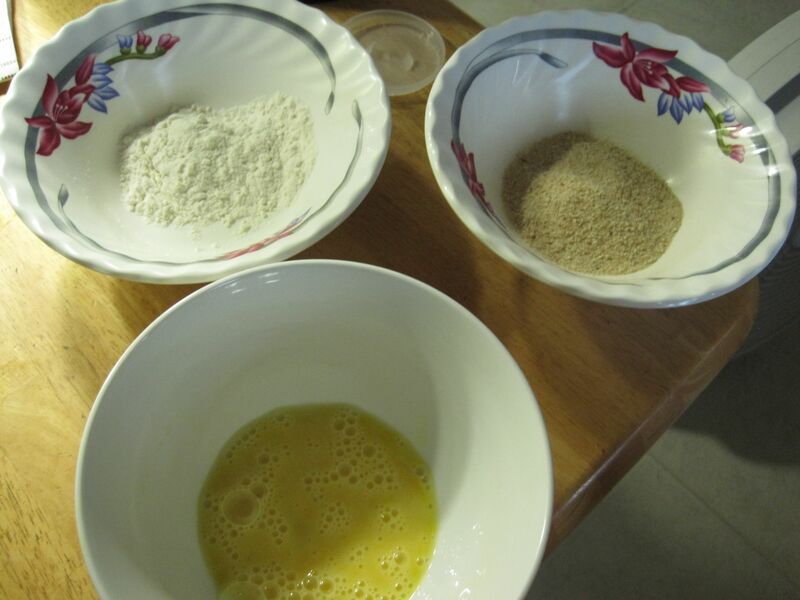 Prepare your station by placing the flour, eggs (beaten), and breadcrumbs in three separate bowls. 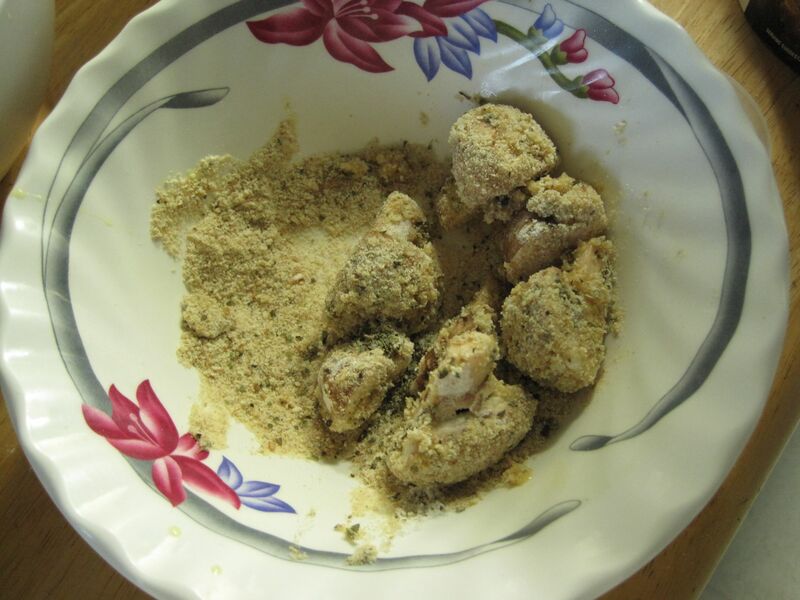 Coat the individual pieces in flour, egg, and breadcrumbs, in that order. 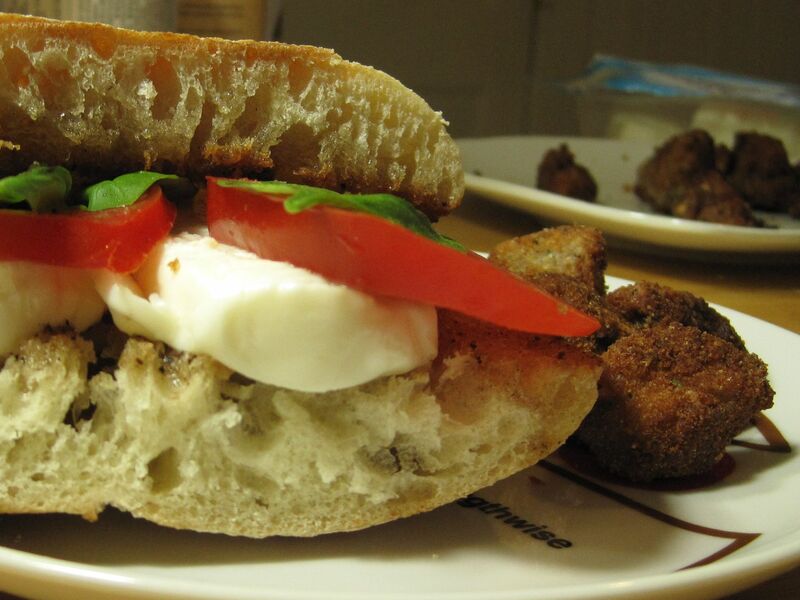 Heat oil in a skillet and pan fry mushrooms until golden brown. Add salt and pepper to taste.